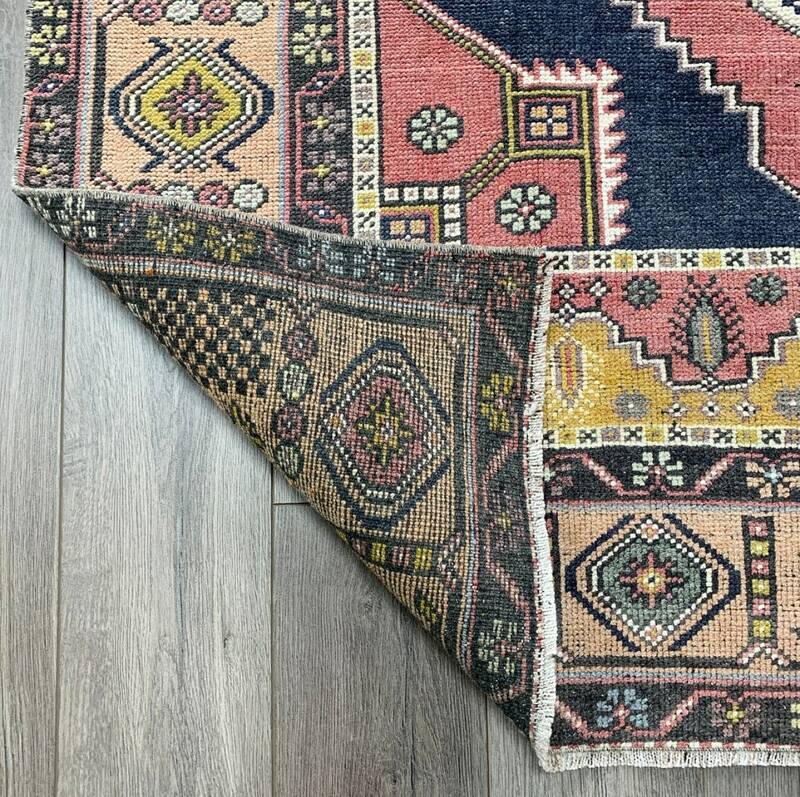 7’4” x 4’2” Low Pile. 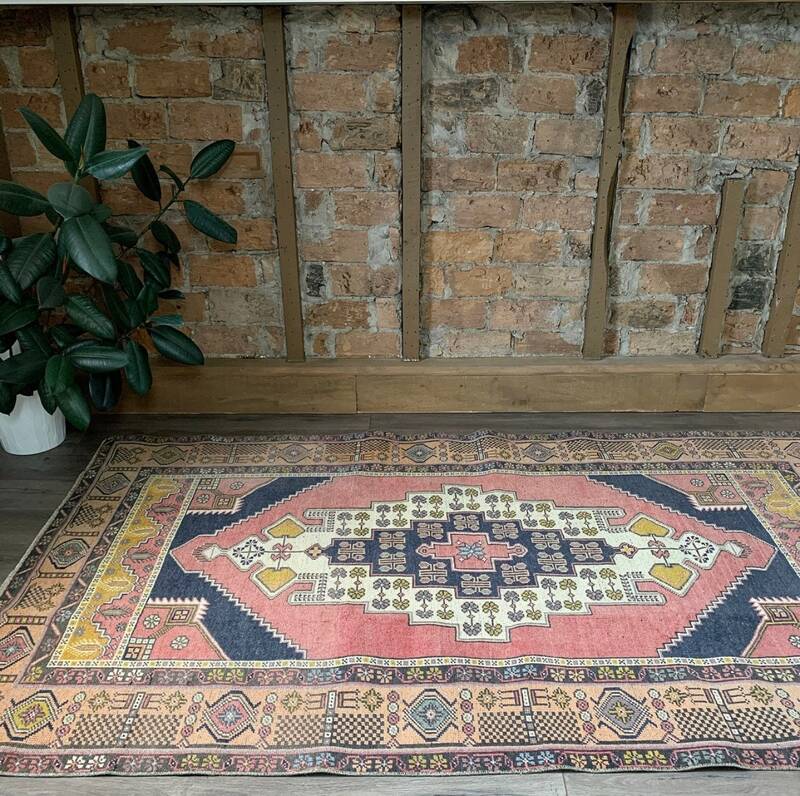 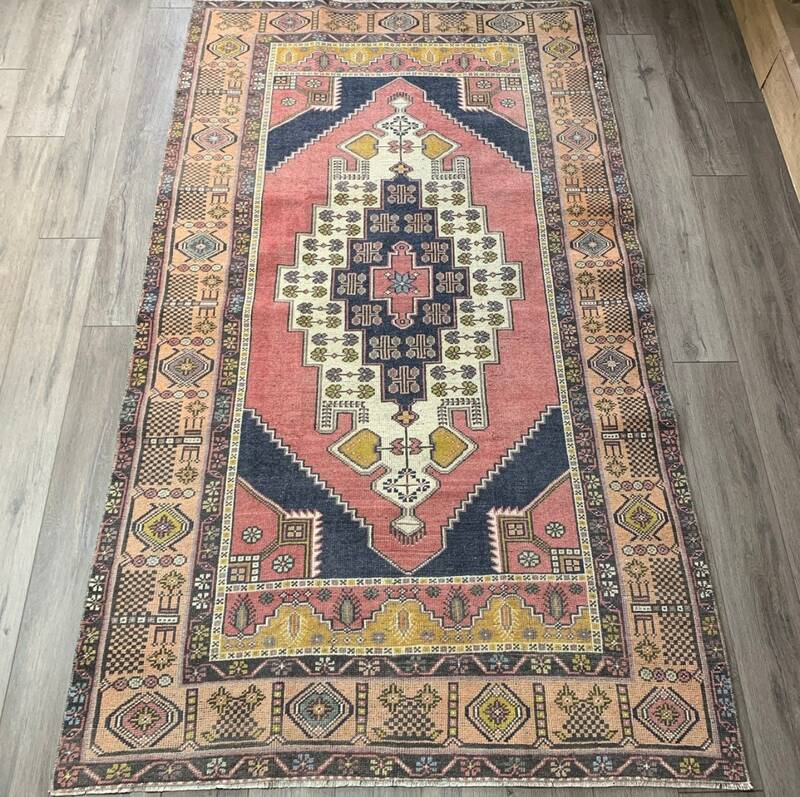 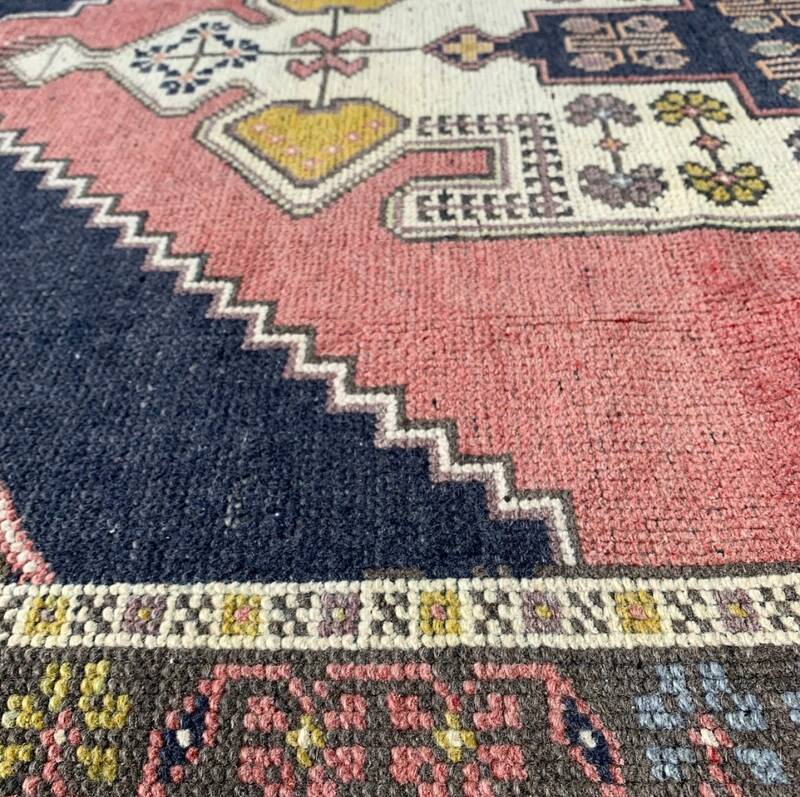 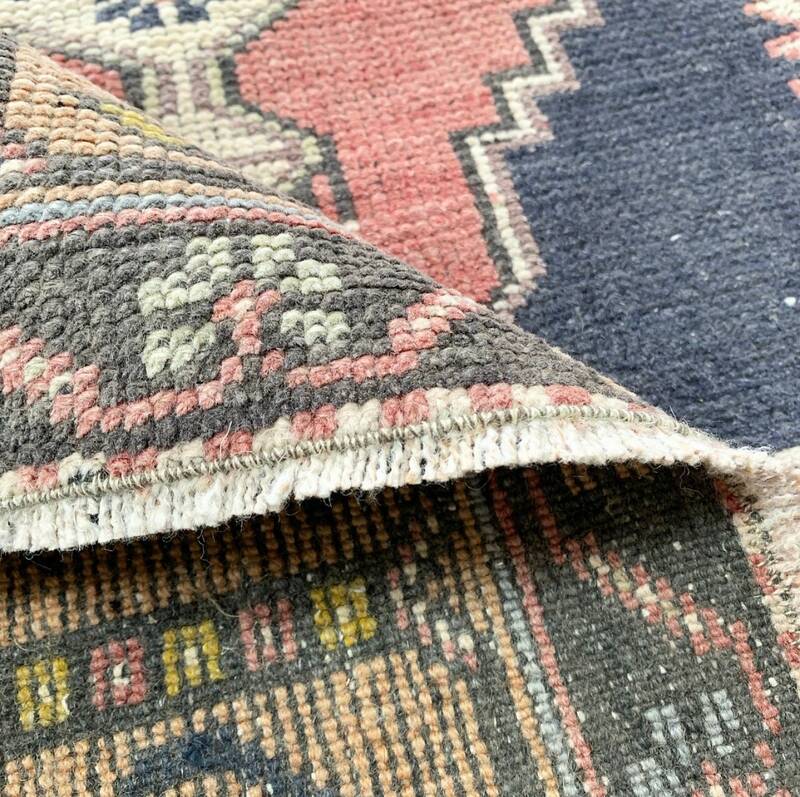 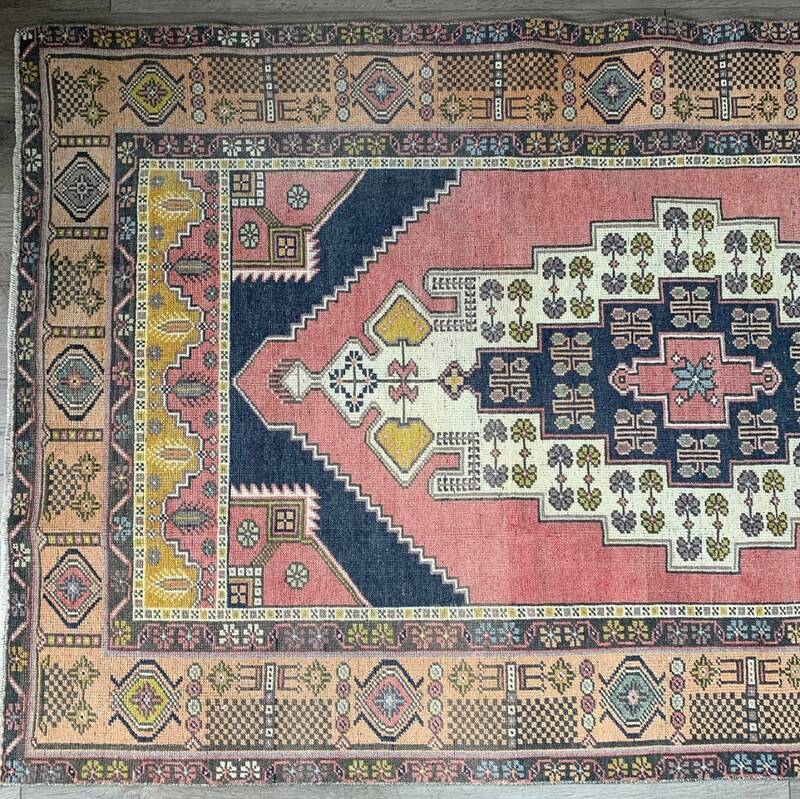 This hand-knotted vintage Turkish rug in shades of pink, peach, and navy was made in the 1940s and is in near-mint vintage condition. 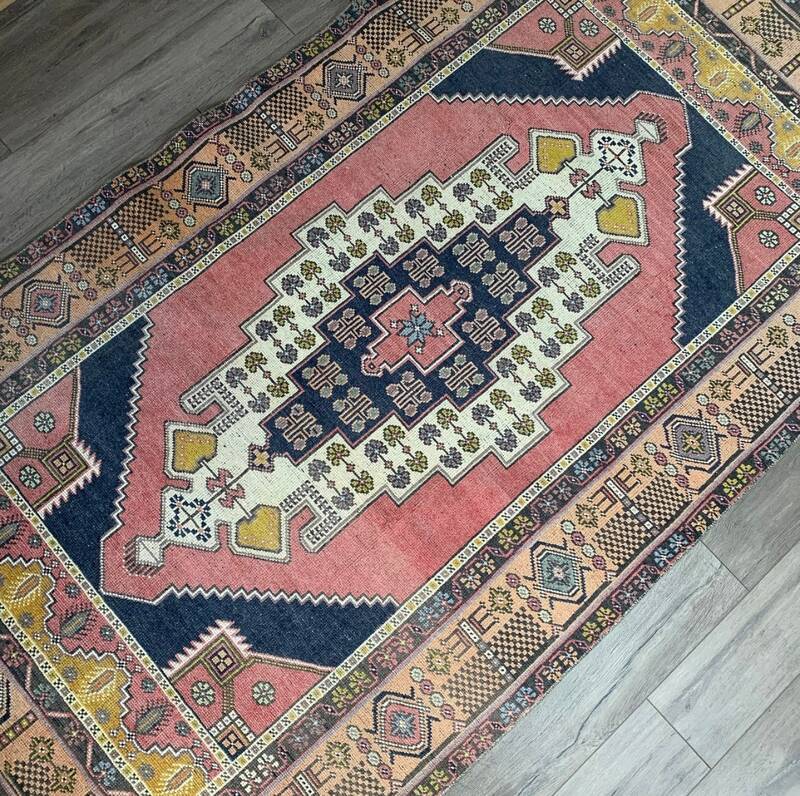 Characterized by a large centre medallion in navy, pink and white with floral and star details, this one-of-a-kind large area rug is grounded by a pink field and navy corners, a bit of chartreuse in the border and highlights, and an intricate peach border. 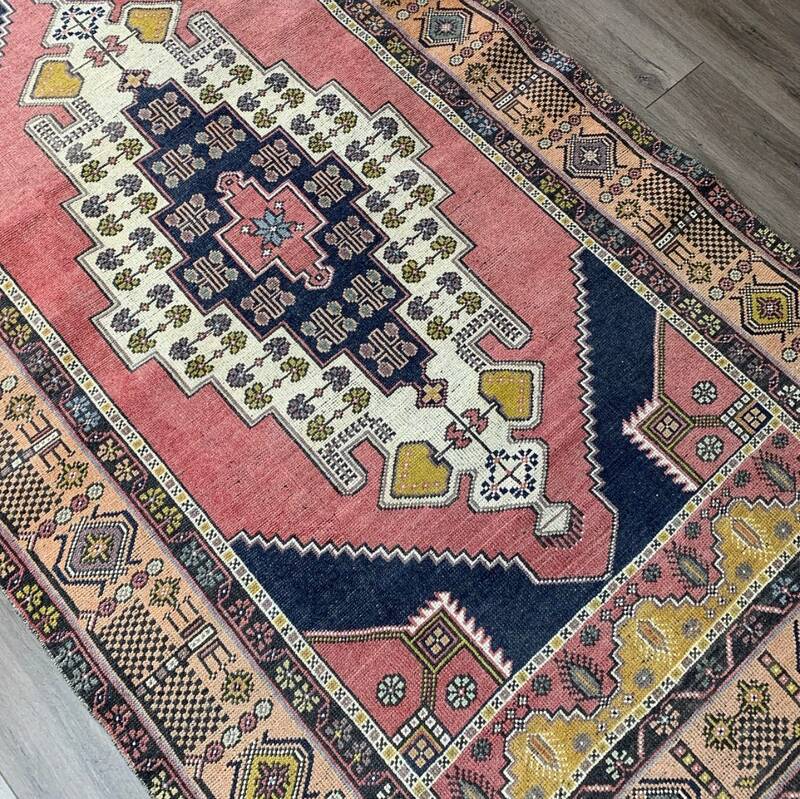 The pink and navy goes so well with the earthy peach colour - this rug will be a conversation piece, and will be with you for a lifetime. 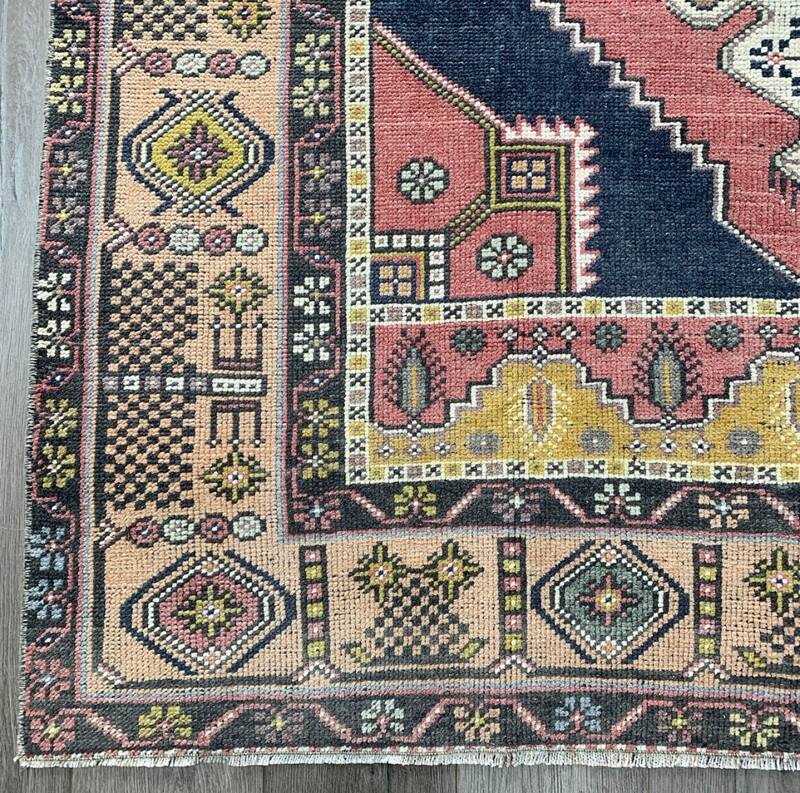 Colours: Pink and navy with peach, white and chartreuse details, and faded pastels.